Welcome to Cristiano Ronaldo Fan, a site dedicated to bringing you the latest Ronaldo news. Cristiano Ronaldo is a Portuguese football player who currently plays for Manchester United (Man Utd) as a left or right winger and is one of the highest rated soccer stars in the world. 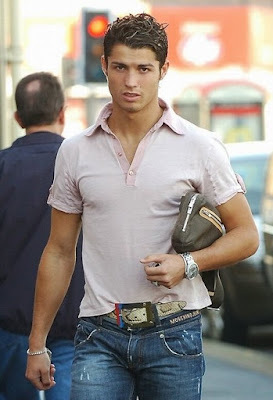 Ronaldo is also an important football player in the Portuguese National team having scored 18 goals by the age of 22. This season Cristiano Ronaldo has also broken records with the huge amount of goals he has scored for the famous soccer team Manchester United. Cristiano Ronaldo recently won Ballon d’Or in 2008 and we can't congratulate him enough, he really is a world class player.